Does Social Media sell Products and Services? Businesses constantly battle the implementation of social media as a marketing and sales tool for their products and services. Most are just happy to have the part-time college intern posting on the top social sites a few days a week. 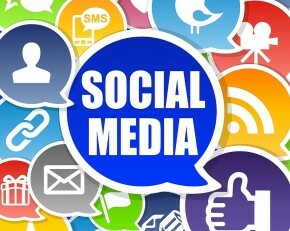 Social Media represents a huge potential opportunity for your business if used correctly. And it’s becoming increasingly difficult to stand out from the crowd. You wouldn’t have your intern layout your newspaper ad, negotiate media buys, administer your PPC campaign, or manage your BDC lead follow up….would you? If you treat social media like a hobby, it will reward you as such. Social Media has become a powerful element in today’s marketing efforts and Facebook is still the 800 pound gorilla in the room. If you only have the budget to optimize one social media channel, this would be the one. Facebook also offers the most diverse methods of targeting audiences. Here are a few Facebook stats that reinforce why they are too influential to ignore. Traditional retail brands have managed to optimize Facebook with video ads (i.e. Samsung scored a brand affinity lift of 24% during the Oscars)** Facebook introduced “auto play video ads” about a year ago. 2014 Q4 reporting announced that 3 Billion videos are viewed on their site every day. Digital video does not require a large ad budget and Facebook has tools that allow you to see what resonates the most with your audience. Facebook’s hyper targeting platform allows you to become granular in your marketing efforts. This allows you to deliver the right message to the right audience, at the right time. Few marketers use the advanced targeting platform which includes filters such as; ethnic affinity, life events and behaviors. The behavior feature allows you separate targets by interest; residential profiles, seasonal events (i.e. awards show, sporting events), travel, etc. If you would like a complimentary analysis of your online presence or a link to download our social media success guide, please email me at: Larry@MSAadvertising.com.